Today in Masonic History Francis Henry Dillon Bell is born in 1851. Francis Henry Dillon Bell was a New Zealand politician. Bell was born on March 31st, 1851 in Nelson, New Zealand. He attended Auckland Grammar school. Later he would attend Otago Boys' High School. There he was Dux, or leader of the student population. After graduating High School he traveled to England and attended St. John's College, Cambridge. He received a Bachelor of Arts from St. John's in 1873. After college Bell returned to New Zealand and began practicing law in Wellington. He also played two first-class cricket matches before giving up cricket to go into politics. Bell served as Crown Solicitor in New Zealand twice. The first time was from 1878 to 1890 and the other was from 1902 to 1910. The Crown Solicitor is responsible for advising the Government on legal matters. He also was very active with the local and national law societies in New Zealand. From 1901 to 1918 he served as the President of the national law society. 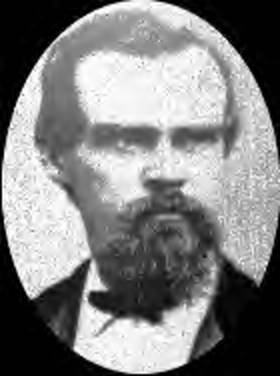 In 1890, Bell's political career began. He first tried to win election by standing for the electorate of the City of Wellington as an independent in the general election of 1890. His run as an independent was significant since this was the first election in New Zealand with party affiliations. In 1891, 1892 and 1896, Bell was elected Mayor of Wellington. In 1893, he finally won a seat in Parliament and served one term. In 1912, Bell was appointed to the Legislative Council. This was the upper house of the General Assembly of New Zealand. The positions in the upper house were by appointment. Ironically Bell's son would be appointed to the Legislative Council in 1950 as part of the "suicide squad." A group of legislatures who's only purpose was to vote to dissolve the Legislative Council. While Bell was in the Legislative Council he served as Minister of Internal Affairs, Minister of Immigration, Attorney General, Minister of External Affairs and the first Commissioner of State Forests. In 1922, Bell represented New Zealand in the League of Nations. Bell became acting Prime Minister of New Zealand when the William Massey, who was in London at the time, became ill. On May 14th, 1925 Massey passed away and Bell became the Prime Minister. He held the position for only 16 days after he refused his party's offer to become the official replacement for the Prime Minister. In 1926, Bell returned to the League of Nations. Bell passed away on March 13th, 1936. Bell was the Grand Master of the Grand Lodge of New Zealand in 1894 and 1895. This made him the fourth Grand Master of the Grand Lodge of New Zealand.